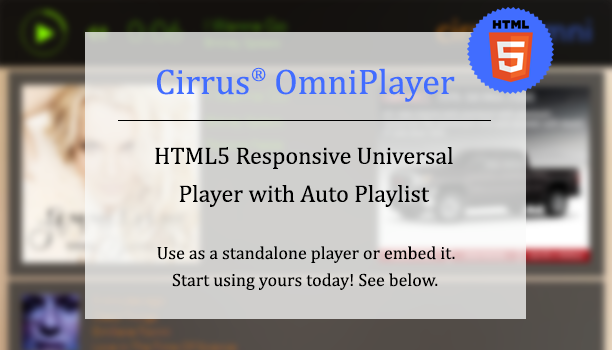 Introducing... the new Cirrus® OmniPlayer, the fully customizable, responsive HTML5 player that can be embedded in your website or launched as a standalone player, universally streaming on all desktops and devices. It's a great complement to your Cirrus® Player and can be customized to match your Player and website - you can customize the text colors as well as specify the width and height if you wish to embed it. Earn revenue from the ads on the OmniPlayer, too! 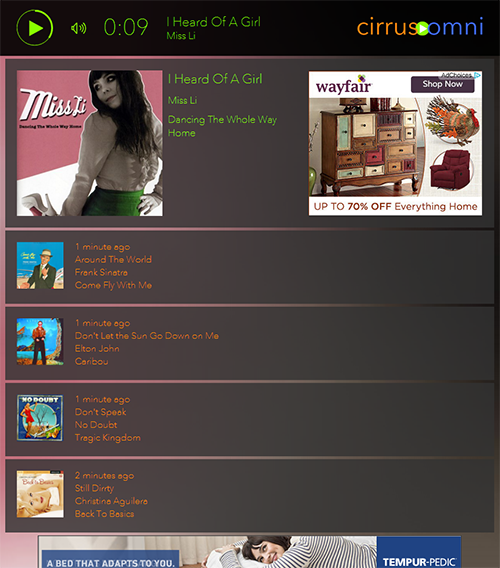 Cirrus® Player + OmniPlayer = more ad impressions and revenue. 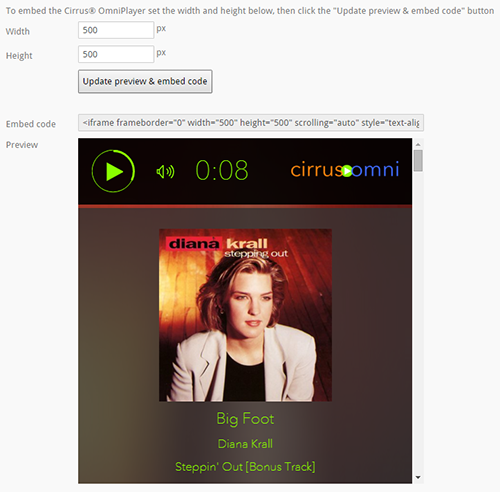 The OmniPlayer has been automatically added to your Radio Control Panel, under the LINKING AND EMBEDDING section. Go check it out. All customization, full URL, and embed code can be accessed in this section. 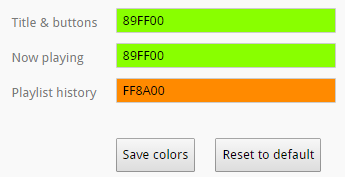 You can customize the text color of the title and buttons at the top, the current song playing, and playlist history via a simple color picker. You can grab the URL for your OmniPlayer and link to it from your website, Cirrus® Player, and anywhere else you'd like. Since this is a universal HTML5 player, it will play across any device. View a demo of our standalone player. Specify the dimensions you'd like and copy the simple embed code generated to put into any website. If you embed this into your website, the stream will start playing as soon as the page loads. Users can scroll through and see current and past songs played within the embeddable space. View a demo of our embeddable player. When DCS (data capture software) is installed, the OmniPlayer seamlessly refreshes at every song change, moving the playlist down as it auto updates. Listeners across all desktops and all devices can share in the same experience, as it plays universally. Contact us if you need help with DCS. You can log into your Radio Control Panel to customize colors, grab your URL, or grab your embed code and start using the OmniPlayer now. Please let us know if you have any questions!